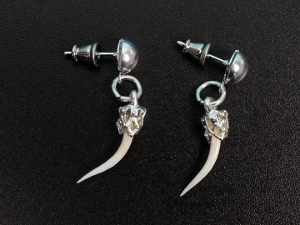 These earrings are made with real rattlesnake fangs from Texas Diamondback Rattlesnakes. 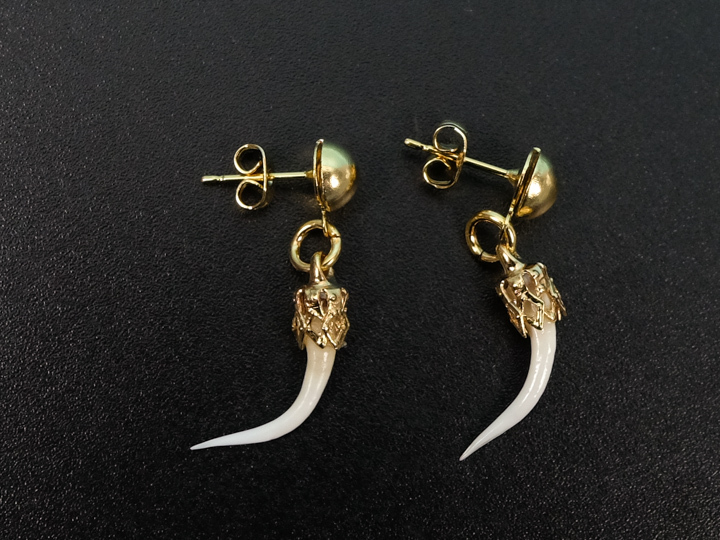 They come with either goldtone brass or silvertone surgical steel mounts. 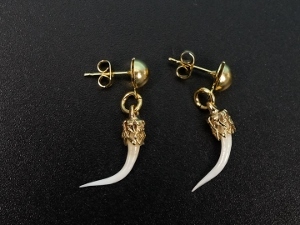 These are approximately 1.5" long. Please note that the fangs are not sprayed or treated with anything. They are naturally shiny. Genus and species: Crotalus atrox. Texas Western diamondback rattlesnakes are not endangered. A U.S. Fish & Wildlife permit is required for shipments outside of the United States.